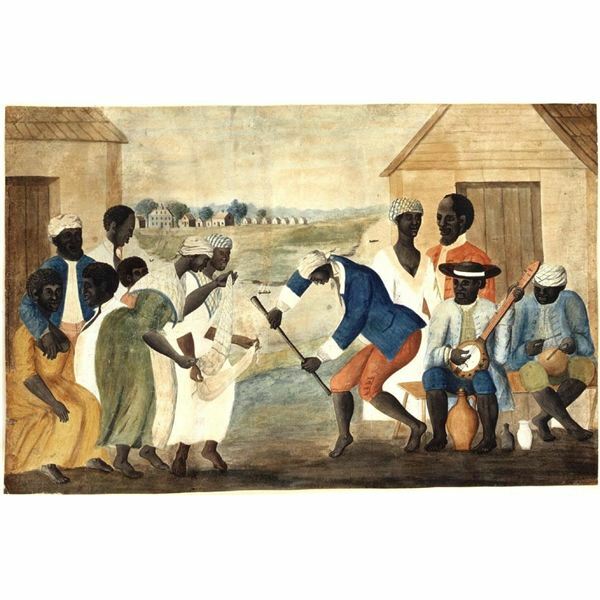 The history of slavery in America starts with the movement of about 15 million Africans from their homeland to America. 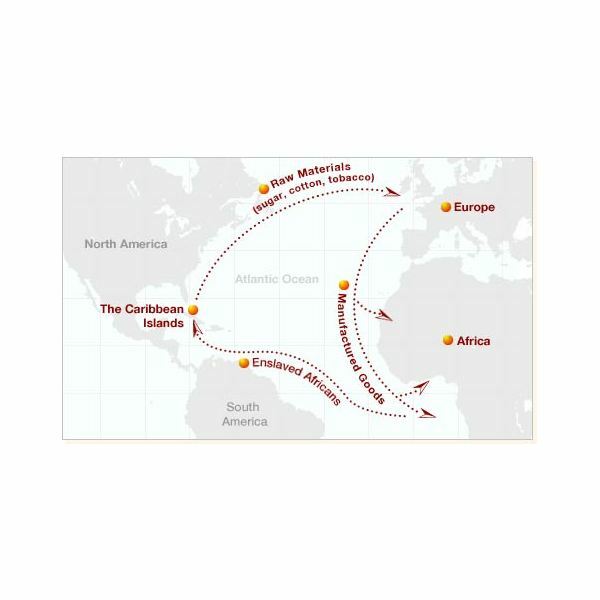 This voyage became known as the triangular slave trade. For this lesson, display on the interactive whiteboard map, or wall map, the three arms of the triangular slave trade. The first arm began in Europe and went to Africa, with ships carrying manufactured goods that were destined for America. The sescond leg began in Africa on its way to the Caribbean Islands or America. A ship would be laden with human captives packed tightly into the ship's cargo hold. The third leg was the homeward leg. The manufactured goods had been deposited in America along with the slaves to be sold to American farmers, homeowners and merchants. The ship was then loaded with rum, spices, cotton, sugar and tobacco. The Europeans were awaiting the arrival of these products. Ask the students to draw a map of the triangular slave trade depicting the goods traded on each arm of the voyage and the direction of the journey across the Atlantic Ocean. conditions. They were subject to cruel punishments if they didn't keep the pace of work the plantation owner or his overseer required. It was a very harsh and demeaning life. Even though life was grueling as a slave, these people tried to hold on to their identity. The Africans maintained their oral and musical traditions. The life of the plantation owner's family was a stark contrast to the slave's life. The plantation owner's family lived a life of luxury with majestic houses including extravagant furnishings and lavish clothing. Ask the students to write a diary entry from the viewpoint of a young girl from a slave family. Ask them to write a diary entry from a member of the plantation family's viewpoint. Compile the diary entries from the class to place together in a folder to be placed in the classroom library. Give the students a roll of adding machine tape to make a timeline of slavery. Their timeline starts in 1502 with the arrival of the first slaves to America. Provide the students with colored pencils and thin, black markers to design their timelines. The timeline continues until 1865. This date represents the ratification of the Thirteenth Amendment which abolished slavery in the United States. Designate the number of images and dates the timeline should have. Display the colorfully completed timelines around the room. This lesson will help your students see the pride the Africans brought with them, the hurt they endured and the unfairness of what life deals to individuals or groups of people. Professor of Truth on Photobucket.